Books by kids for kids! It's a whole new concept in children's literature. 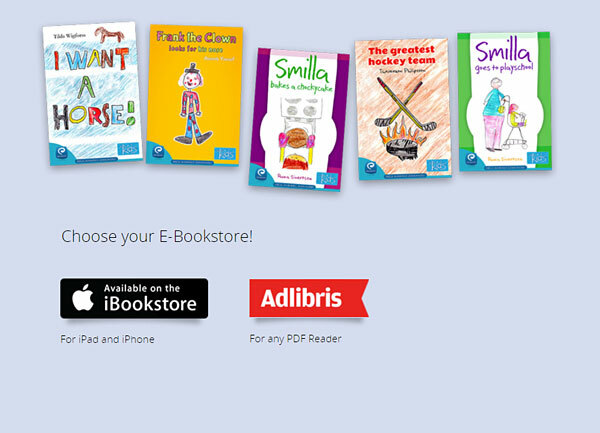 Our books are a selection of the best stories written and illustrated by children themselves, treated with the same respect and quality as any other author. Children writing for other children...! And who can better know what children would want to read, if not another child? Books by children - for children! Books for children written by children 10-12 years old is a new children's books genre available online, born from the realization that children must obviously have a place in literature as child authors. Authors whose books arouse love of language and become a part of our cultural heritage. Everyone gets to participate, using their imagination and expressing their feelings, possibilities related to freedom of expression and being a part of cultural and artistic life. Child Authored Literature allows children to become creators of their own literature, and their books are treated and produced with the same respect as the adult writer. The children's books are written in Swedish originally, translated into English, and if the author has a mother tongue other than Swedish they're translated into that language too. The books are published in environment-friendly e-book format which allows for a smooth and efficient distribution around the world. All the books we publish are first selected by a children's jury. Check out the wonderful selection of books above and purchase your next home favorites directly to the e-reader, phone or computer. You can also borrow eBooks online at your library's website. You are of course always welcome to contact us with any questions or concerns.